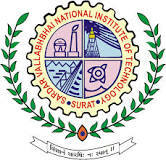 The Sardar Vallabhbhai National Institute of Technology, Surat has published Advertisement for below mentioned Posts 2017. Other details like age limit, educational qualification, selection process, application fee and how to apply are given below. Educational Qualification: The candidate must have Master’s degree in Chemical Engineering or applied Engineering discipline with 60% aggregate or CGPA 6.5/10 at either Bachelor’s or Master’s or both. How to Apply: Desirous candidates must personally remain present at 10:00 AM at this Department on January 8, 2018 with original and attested photocopy of testimonials at one’s own expense. Preference will be given to SC/ST/OBC candidate if found suitable as per the MHRD rules. Report to Dr. A. K. Jana upon reaching the venue. If any query, forward it at paparikh@ched.svnit.ac.in.